Young Entrepreneurs Academy (YEA!) Investor Panel Pitch Night! YEA! Phoenix Investor Panel "Shark Tank Style" Pitch Night! 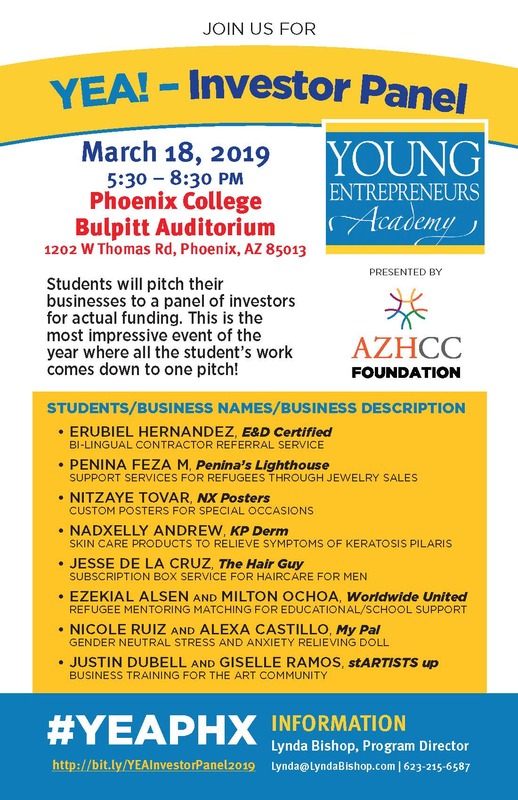 10 High School students from the Young Entrepreneurs Academy will be pitching their businesses for REAL funding to launch their REAL businesses! You won't want to miss this! Parents, students, teachers, business owners, entrepreneurs - everyone is welcome to attend and see the next generation in action!